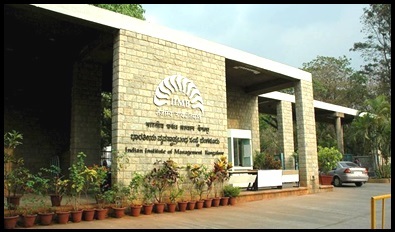 IIM Bangalore (IIM-B) organizes AsRES Conference from 13th-15th July 2016. Read the full news at jagranjosh.com. Indian Institute of Management Bangalore (IIMB), organizes 21st Asian Real Estate Society Conference (AsRES) 2016 from 13th July 2016 -15th July 2016 at their IIM Bangalore, campus. In 2016, University of Melbourne in collaboration with the Indian Institute of Management, Bengaluru (IIM-B) will host the conference with support of the University of Queensland at the IIM-B Campus. The conference will witness Key Indian stakeholders (such as real estate academics, practitioners, policy makers) belonging to the Real Estate Industry. The key focus of the conference will be on discussing current issues that impact policy and practice around the world. The conference will offer double blind peer review papers across all interest areas. The Keynote addresses will be delivered by Prof Rajeev Gowda (Member of Parliament, Rajya Sabha); Dr KP Krishnan, and K G.Krishnamurthy, HDFC, to highlight Real Estate in India and various challenges and opportunities in its cradle.